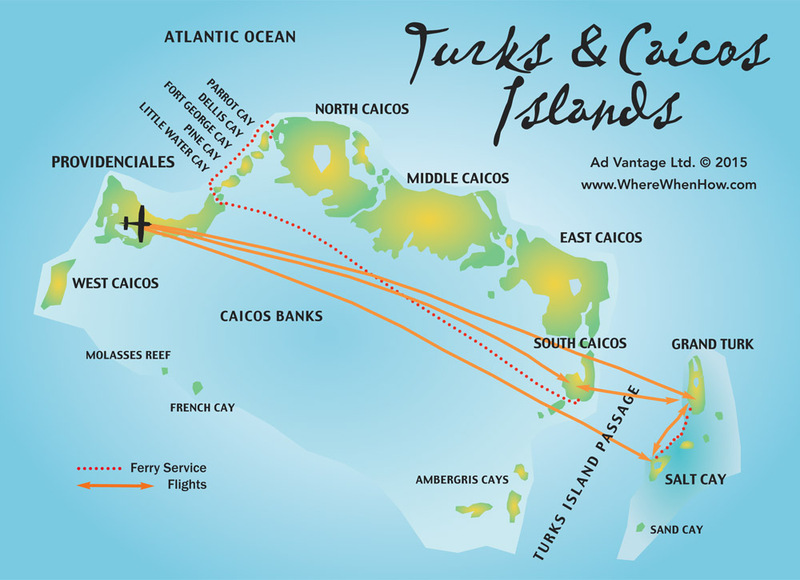 A selection of maps showing the location of the Turks and Caicos Islands in the Caribbean, details of the Turks and Caicos Islands and a very detailed maps of Providenciales (Provo), North Caicos and Middle Caicos. 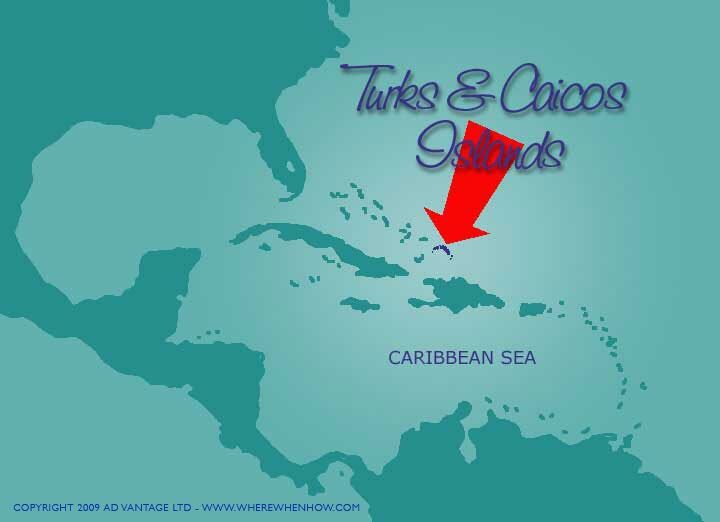 The Turks & Caicos Islands are located 575 miles (926km) southeast of Miami, Florida. The islands lie just south of the Bahamas archipelago and 90 miles (145km) north of Hispaniola. The low-lying land masses feature green hills rising to a maximum of 250 feet (77m). Completely surrounded and protected by the Caribbean’s largest and healthiest coral reef system - tropical fish abound. The Turks & Caicos Islands are already well known by scuba divers and are becoming known as an upscale romantic vacation destination. 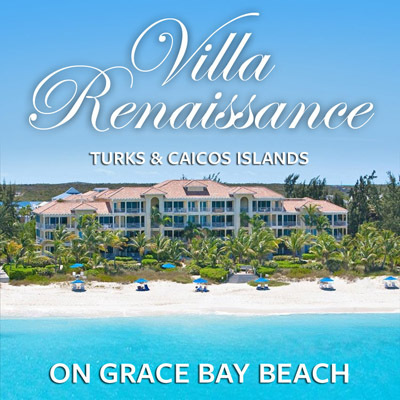 Grace Bay Beach has been voted as one of the best in the world by “Conde Nast” magazine. The most developed of the Turks and Caicos’ eight inhabited islands, Providenciales (Provo) is just 23 miles (37km) long by 4 miles (6.5km) wide. The talcum-powder soft white sand of Grace Bay Beach runs along the north shore for a reputed 12 miles (19km). 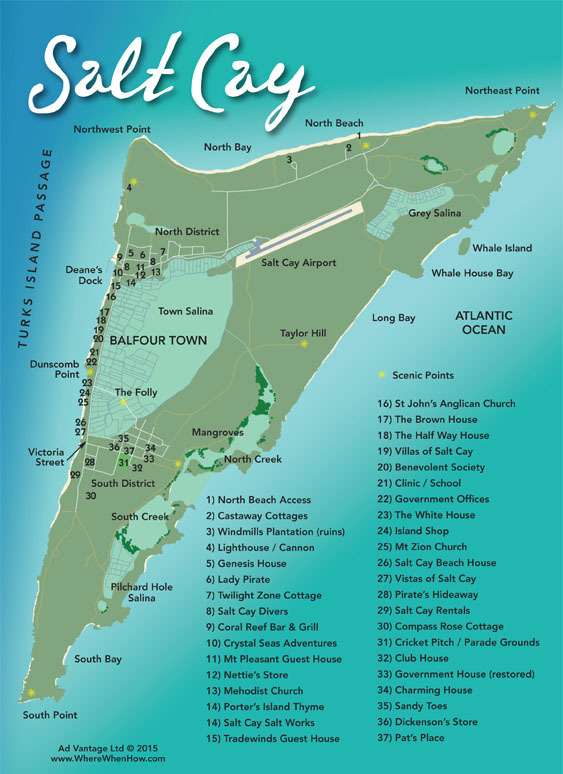 North Caicos at 41 sq miles (66 sq kms) is often referred to as The Garden Island of the Turks and Caicos. With approximately 2,500 year round inhabitants, transportation to the island is by TCI Ferry (passenger only) service from Providenciales. 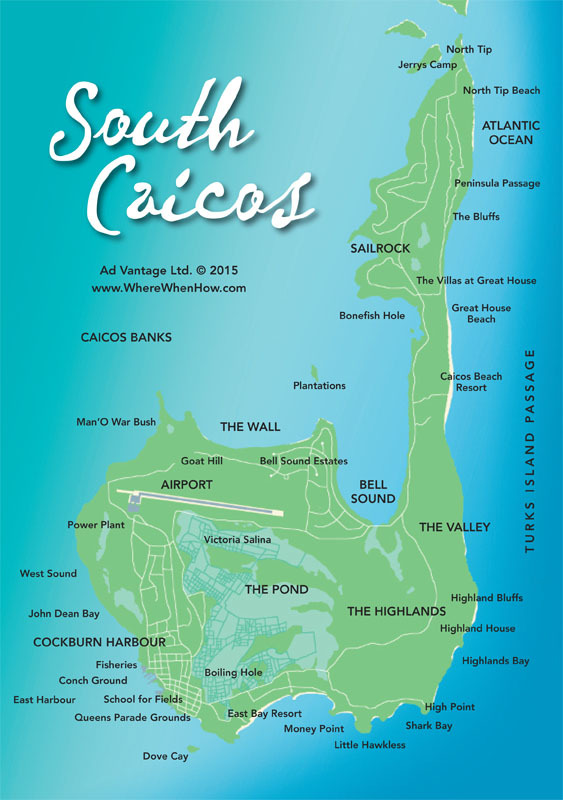 Once you are on North Caicos it is an easy drive across the causeway to Middle Caicos. The largest of the islands, Middle Caicos is 48 sq miles (77 sq kms) yet boasts a population of just 300 people! 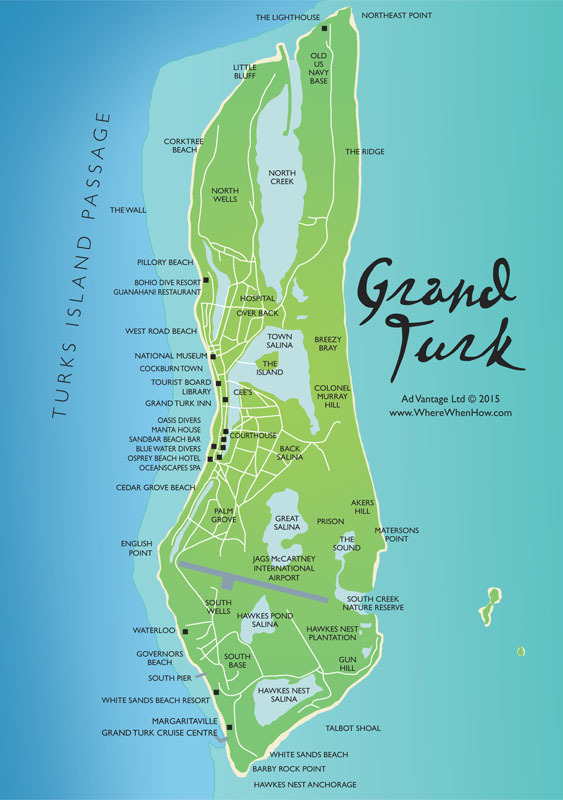 Grand Turk makes up in stature what it lacks in size. 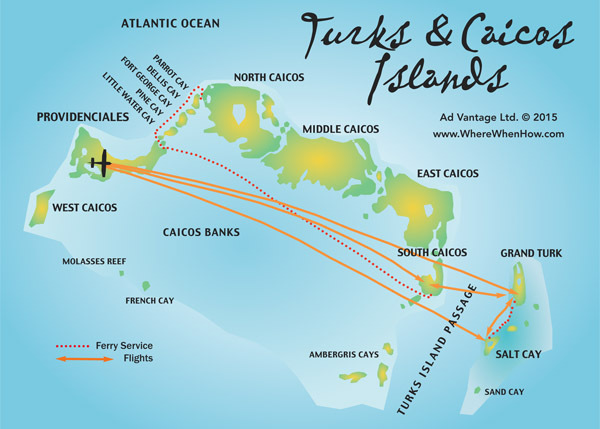 At barely seven square miles, (6.5 long and 1.5 wide), it is the capital island of the Turks & Caicos. The only settlement, Cockburn Town, is home to several excellent examples of Bermudan architecture, the Turks & Caicos National Museum and the Grand Turk Cruise Center. As small as it is, Salt Cay IS the second largest of the Turks Islands. Triangular in shape, each coastline is barely two miles long and there are fewer than 100 full-time residents. In the 1700s, it boasted a thriving salt industry. The demise of that economy, in about 1930, saw the island’s population decline steadily. Today, Salt Cay is renowned for fabulous whale watching encounters, both in and out of the water, miles of pristine, deserted white sand beaches, small town friendliness, and very fresh local seafood in the three restaurants. This is the perfect island for nature buffs, bikers, snorkellers and SCUBA divers, and for those who just wish to relax and unwind. South Caicos, despite its relatively unknown status in the current tourism hierarchy, is an eden for eco-tourists, fishing and water sports adherents. The landscape and waterscapes of this 8.5 square mile island are sweeping, and the beaches untouched. Several luxury, yet ecologically friendly homes have been built and more are planned. A new resort will open in early 2015. There are approximately 1,100 residents on South. 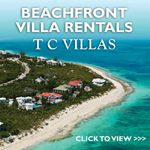 Visit the Big South via TCI Ferry service or InterCaribbean flights from Providenciales.